Objectively for me, no! I do have this 'habit' of listening to an artist, in particular a full album/cd release straight thru!!!! Besides, 'listening' to one of the 'programmed stations' is like taking someone's 'shuffled i-pod' and going that route. MORESO I loathe those contraptions.....so......viva la front to back start to finish lp/cd! President Obama this week stood on a bridge overlooking the rain-swollen and fast-rushing Passaic River in Paterson, New Jersey, and said the federal government would work to rebuild towns recovering from Hurricane Irene's wrath. The Passaic had washed over the bridge, flooded the downtown and forced hundreds to evacuate cresting at a record 14 feet, twice its flood stage, depositing debris and muddy water stains on buildings and homes across Paterson. Philadelphia School District investigators found evidence of "several violations" in state testing protocol at Roosevelt Middle School, supporting teachers' assertions that cheating occurred at the school. The report contradicts statements by senior officials that allegations of cheating at the East Germantown school were "unfounded." 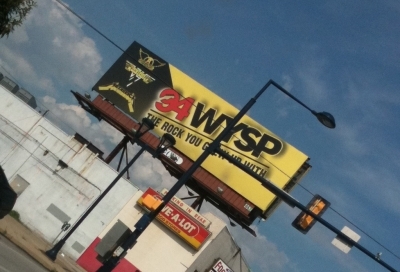 Philadelphia radio station WYSP-FM 94.1 is gone. Owner CBS has decided that the Philadelphia rock radio legend is no longer a worthwhile format to occupy the 94.1 FM frequency in the City of Brotherly Love. Instead, the powerful FM channel will be turned over to its AM sports talk sister station WIP. Two weeks of saying goodbye wrapped up this afternoon. WYSP's rock formatted signal will now be the home of sister station, sports talk WIP, and will now be called Sports Radio 94 WIP. The final two weeks of WYSP included many listener phone calls offering well wishes, as well as calls from some of rock's greatest, including Jon Anderson of Yes, and Alan Parsons. The Philadelphia Eagles cheerleaders are going where no NFL team has gone yet. The annual cheerleader calendar will have a mobile app coming soon. Because of the NFL lockout, there was no springtime calendar shoot. Next week, the squad will be bikini modeling for this year’s photos.